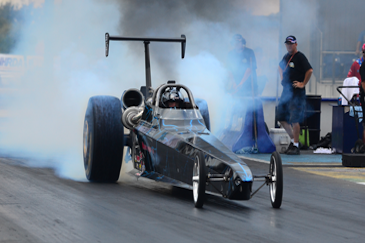 Jared Jones and the Scheid Diesel Dragster came into the World Finals with the points lead and knew that all he had to do was qualify and he would win his first ever National Championship. Jared did just that, as he rolled into the lanes for the Friday night sessions he knew that the National Championship was all his. But Jared and the Scheid Diesel Team wanted more they wanted their NHRDA Top Diesel Record back and they got it with two runs in eliminations they ran 6.64s and set a new NHRDA Top Diesel ET Record. But Jared was red in the final round and wasn't able to clinch the World Championship.